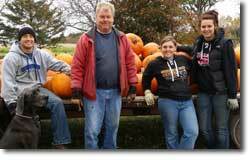 Norm's Farm Market is a family business that began with little intention of being a business at all. Norm's sons, Steve and Scott were about seven years old when they took some of Norm's extra sweetcorn down to the gravel roadside (which is now Highway 25). The young businessmen sold corn until they were satisfied with their profits and then left the rest unattended. 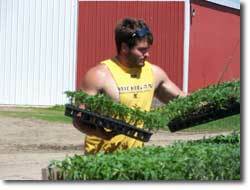 The uniqueness about Norm's is that his children and grandchildren spend the summers planting, hoeing, picking, and working the farm market. 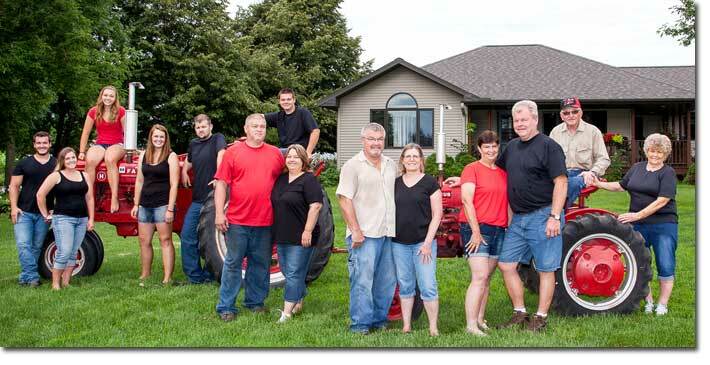 Norm's family is a close one and enjoys farming together. Norm and Margaret had four children, who all married and each had two children of their own , giving Norm and Margaret eight grandchildren, and lots of help! Norm began farming in 1957 when he formed a 1200 acre partnership with his Dad. His sons Steve and Scott have been farming with him since 1975, they now farm several thousand acres. 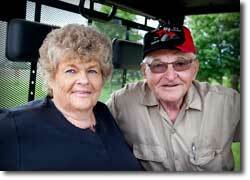 Norm and Margaret are proud that their family continues to take part in the farming and vegetable stand operation.